Money is a big issue that students can face, suddenly going from having everything bought for you to having to buy everything yourself is scary! For me this was something that came as a shock, I’d never really had to buy food or budget my cash to make sure I had enough to buy all the necessities and a few luxuries that I couldn’t live without. I’m going to share with you some of my top tips to make your money go further. Meal planning is one of the easiest ways to save money. Forget about going into Tesco and picking up random things that you think will go together! Instead, go armed with a shopping list of only the essential things that you need for every meal. Meal planning is a great way to save money because you only buy what you actually need, it’s also really helpful to not have to think about what you’re going to cook that night as the answer is right in front of you! The freezer will also become your best friend, when you cook a meal (for example spaghetti bolognaise) you normally end up making enough for about 4 people as you can’t buy a mince portion for one! Freezing the leftovers in portion size containers is a great way to save money, one meal could last you 3 days as long as you freeze it and then properly defrost it as you need. Bulk buying is a lot cheaper so bulk meal prep is also going to save you money in the long-term. As I said before, buying bigger packs of food normally works out cheaper per portion. Therefore if you cook with your flatmates, your weekly shop is going to work out really cheap. 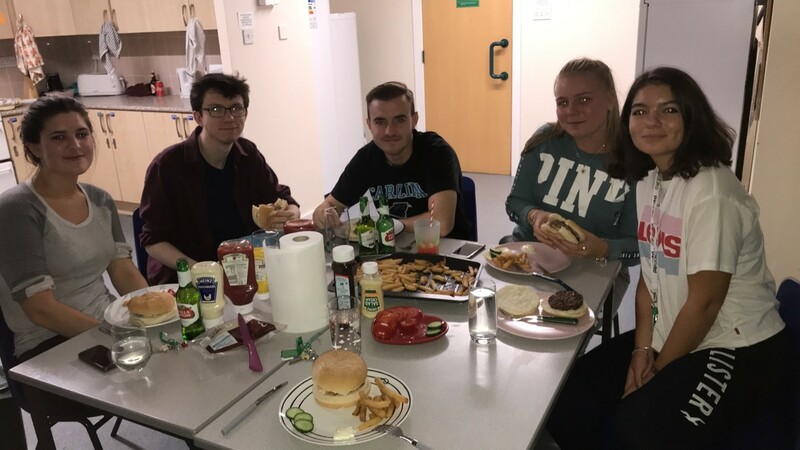 In my flat 4 of us cook and buy enough for 1 meal a week that feeds everyone. Therefore when doing my weekly shop, I only have to buy 4 day’s worth of meals. 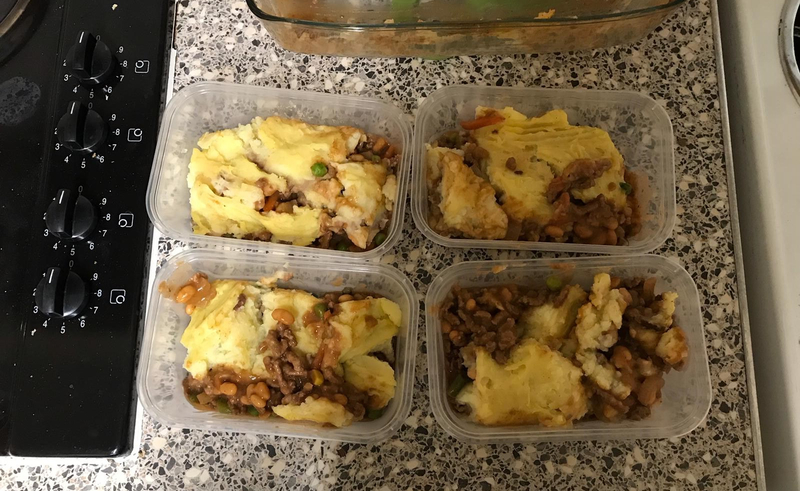 When you work it out I cook one meal for me and my flatmates, then the next 3 days I’m cooked for by my other flat mates and then after that, there’s only 3 more days left in the week! It also allows you to try other dishes that you may not be able to cook yourself and learn new tips and tricks. Branded food is much more expensive than Tesco own brand. 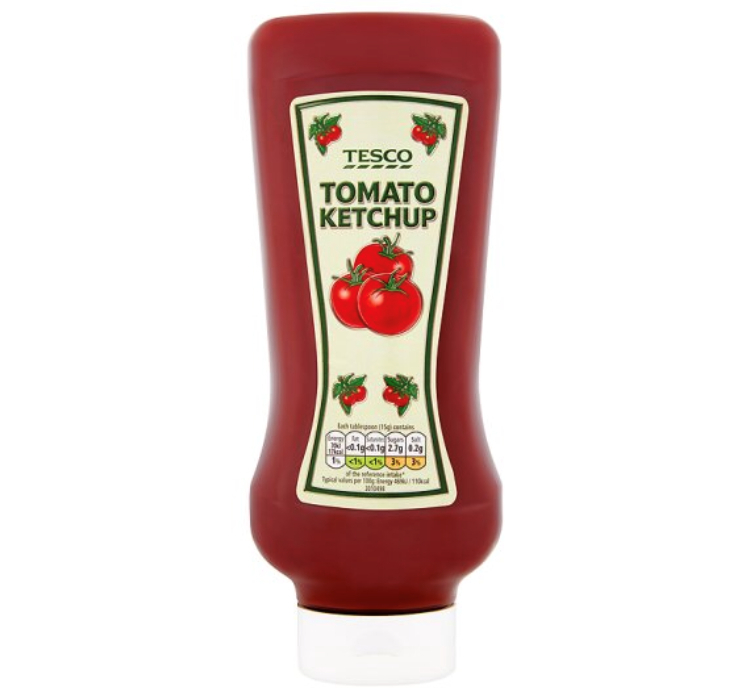 For example a 910g bottle of Heinz Tomato Ketchup in Tesco is currently £2.80, but Tesco’s own brand is 990g and is only £1.00! Lots of value and own brand products are actually very similar to the branded items and can really save you a lot of money. Of course some things just don’t taste the same, but loads of things are such easy substitutes and making even a few of these swaps will see your money going down a little less quickly! Everyone knows that drinks on a night out (even soft drinks) are ridiculous prices! Something I do to stop myself from purchasing unnecessary drinks is to only take cash out, this can not only apply to nights out but to shopping trips and meals etc. If you have a contactless card then you know how easy it is to just tap your card and forget about what you’re spending. Therefore if you limit yourself by only taking cash you can’t spend any more money than you have on you and it will make sure that you stay within your budget! This will save you lots of money in the long run and the £5 that you were going to spend on one drink can be used to buy more useful things or even to save for your future. Finally, don’t be scared about money! Learning to budget is easy and once you work out how much money you can spend each week then all you have to do is stick to it. If you end up going over budget one week, don’t worry! Just make sure you alter your weekly budget so you spend less next week. If you are worried about money we have advice services available on campus that are really helpful and can give you some more guidance!